All information - before you arrive. 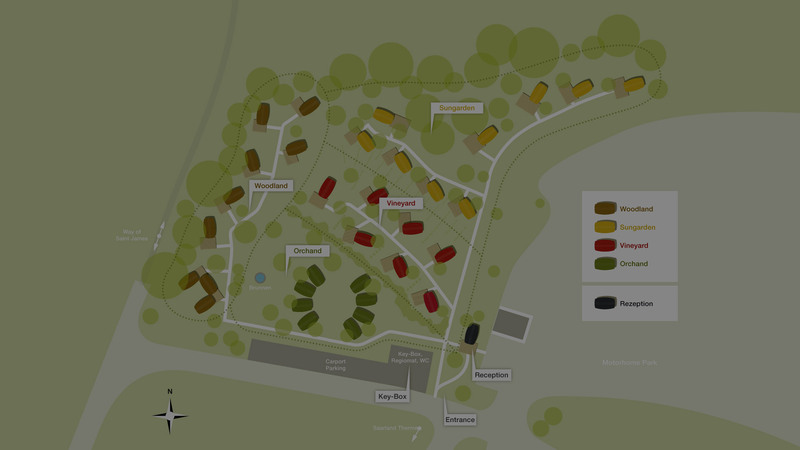 The glamping resort offers 4 categories. 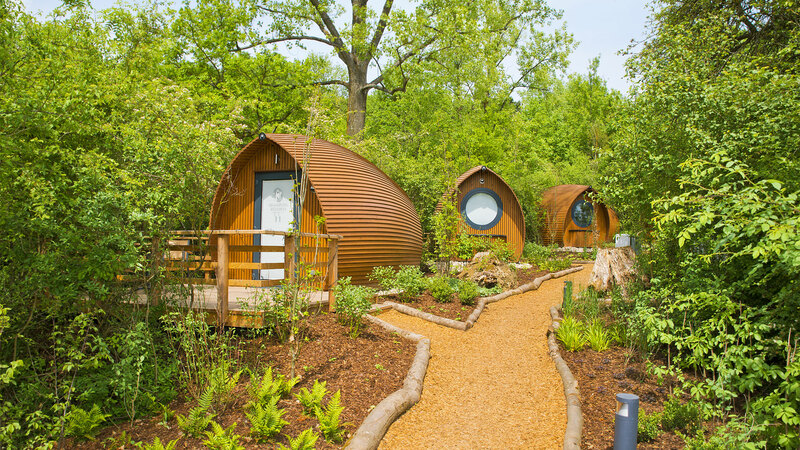 We will be happy to book your accommodation in the glamping resort. The following link will take you to our booking page. Welcome to the Bliesgau Biosphere Reserve. 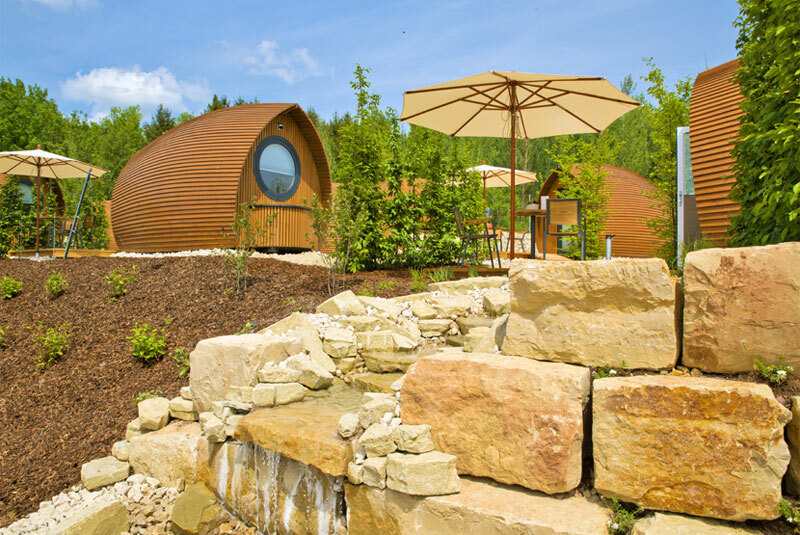 Germany’s largest glamping resort is being created here. 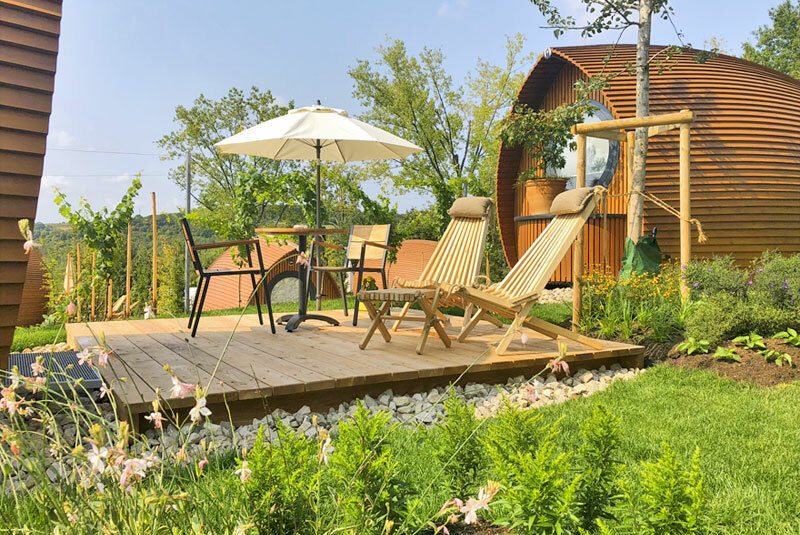 Immerse yourself in the feel-good atmosphere of the glamping resort and stay overnight in the highest level of comfort amidst beautiful nature – comfortable, cosy, natural and modern, you will love our natural hotel rooms.  The resort is located in the UNESCO Bliesgau Biosphere Reserve directly at the Saarland Therme – just outside Saarbrücken. 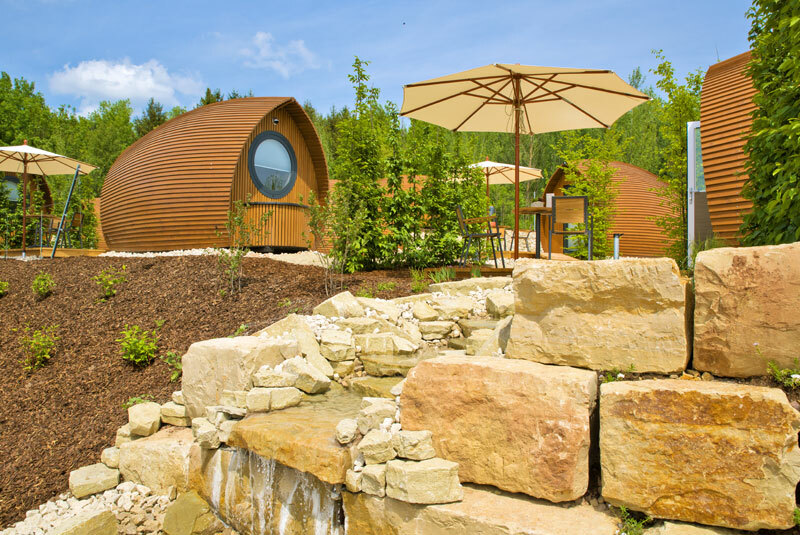 Whether for hiking, cycling or simply relaxing, you will definitely feel good at the Bliesgau biosphere glamping resort. We are looking forward to your visit! 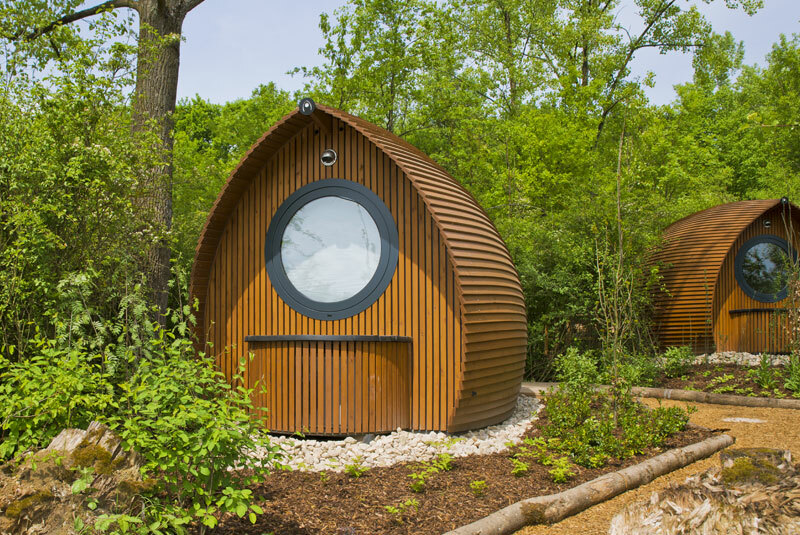 You will love our natural hotel rooms. 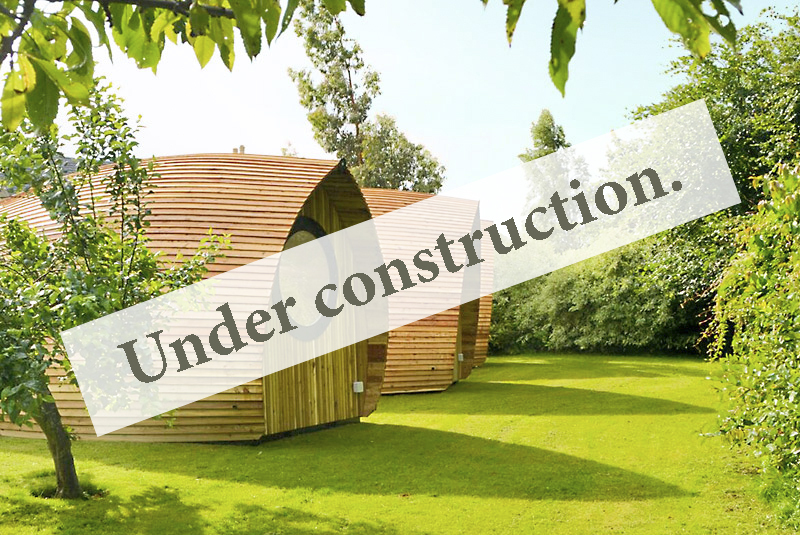 Depending on the model, our glamping units offer comfortable places to sleep for up to 3 people with the comfort you would expect from a boutique hotel room – this same level of comfort also applies to Villeroy & Boch’s integrated bathrooms with shower, washbasin and ceramic WC. 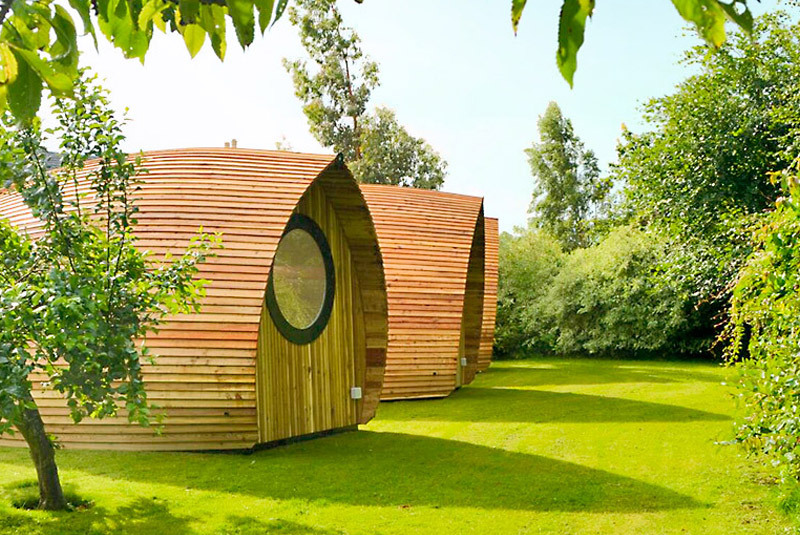 Innovation and luxury are just two synonyms for our spacious and comfortable glamping apartments. Glamorous camping in the truest sense. These revolutionary ‘natural hotel rooms’ really set new standards in terms of comfort and a feel-good atmosphere. Here you feel at home in the middle of nature. 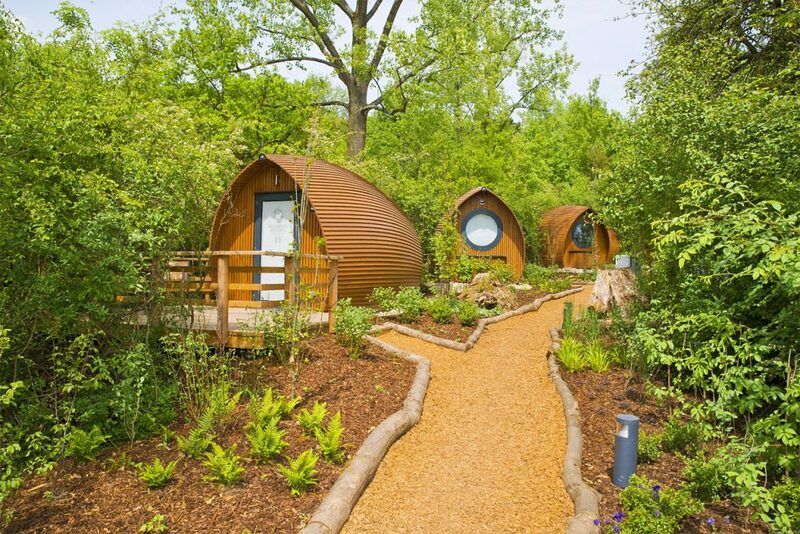 Immerse yourself in the feel-good atmosphere of our glamping resort. Ventilation and heating can be easily adjusted to your needs. You can expect the highest level of overnight comfort and bed linen made of soft natural materials. You can easily adjust brightness and light colours according to your wishes. 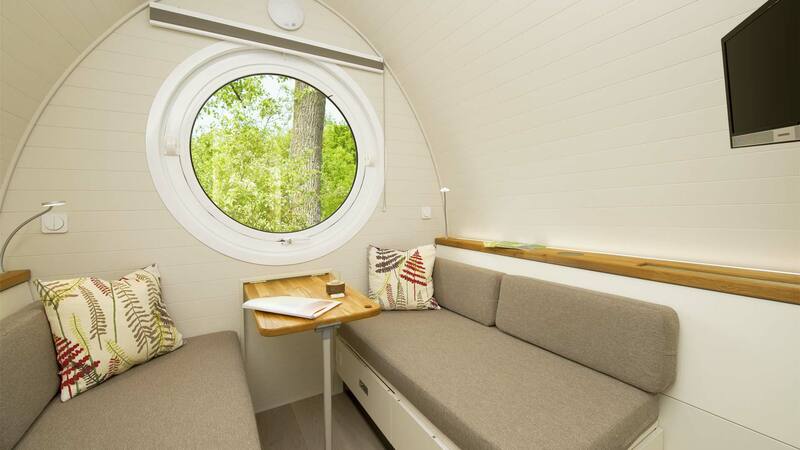 The glamping units are equipped with ceramic WC, washbasin and shower. Particular attention was paid to the processing of sustainable raw materials during construction. Do you have any questions? You can find the answers here. More information about our resort can be found in the FAQs – questions and answers. 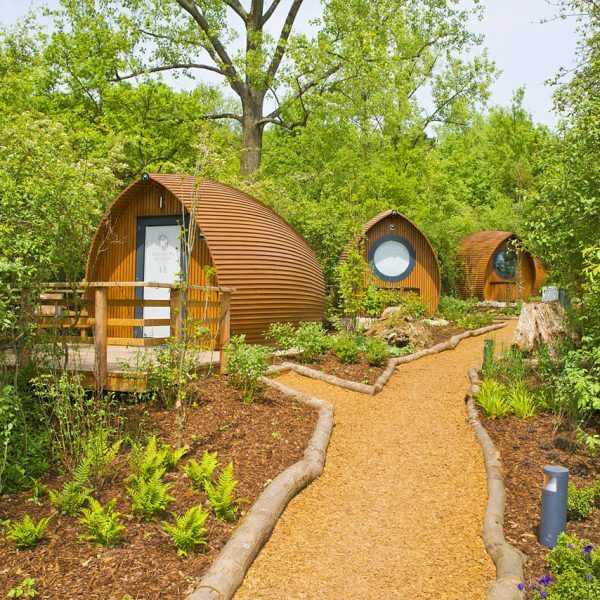 The glamping resort offers 4 categories. In our resort, we have created different garden areas and categories that are typical of our landscape. 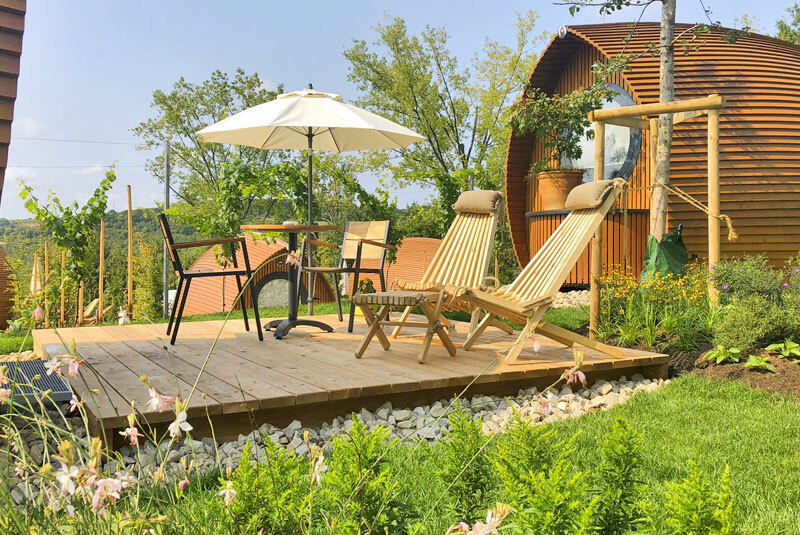 You will feel snug and safe in the organically shaped natural hotel rooms in the categories Woodland Garden, Sun Garden, Vineyard or Orchard. Each area has its own charm. Discover your favourite category and your favourite place! Please open the resort map for easier orientation. Click on the ‘Book’ button to go directly to our booking page. from € 139 for 2 people. from € 129 for 2 people. 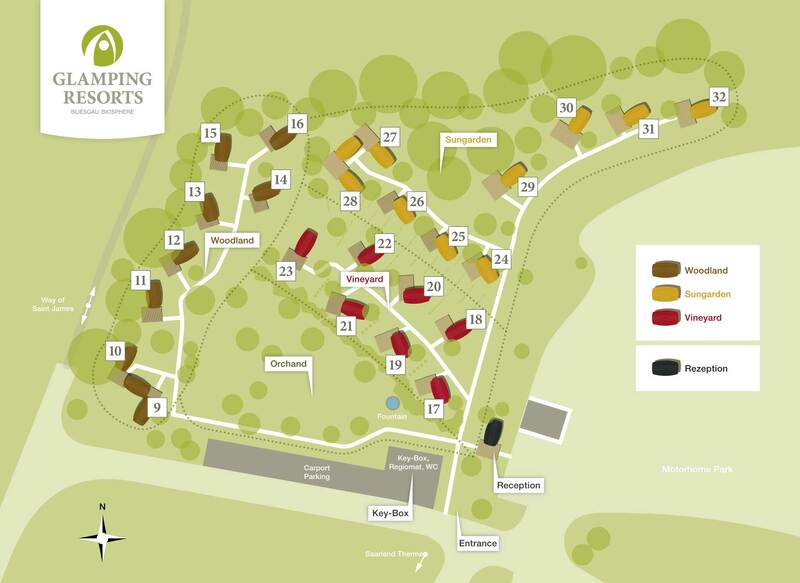 To make your stay at the glamping resort even more pleasant, we recommend our glamping resort app. This will soon be available for free download. It offers a lot of helpful information and many functions to make your holiday planning easier. You can get the app for mobile devices from Apple (iPhone, iPad) or for devices with an Android operating system.